Ever since Marvel made an alternate Spider-man with Gwen, it seems to catch on and spawn out Gwen as Deadpool. She is called GWENPOOL! Now there is a action figure by Max Factory for that character too! 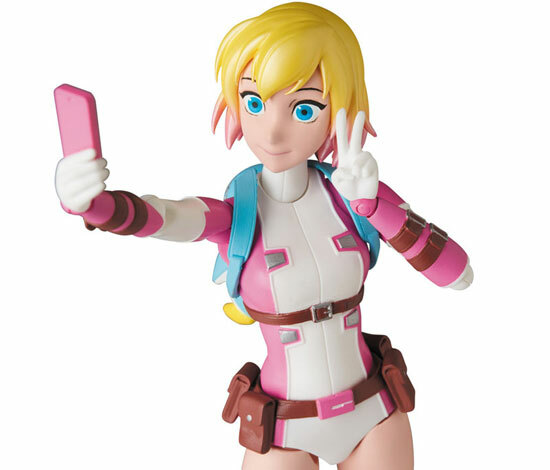 Meet Gwenpool in pink and funky colors! Gwenpool comes with 3 expression faces with one of it unmasked! 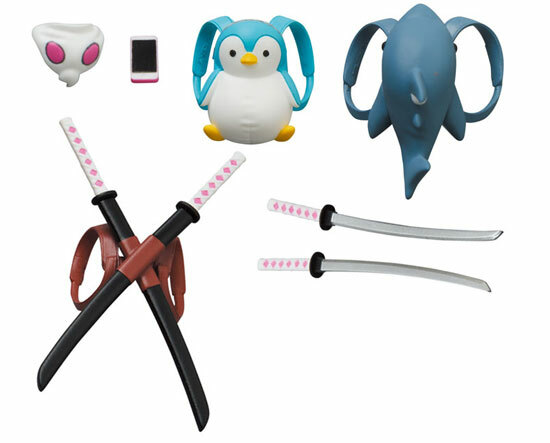 For accessories, she have 2 cute bags, a handphone, 2 katana sword on her back and 2 katana sword to hold on her hands. Personally I loved both of her bags which make her really cute! Only her can carry these design off. With her katana swords and articulation, she can do many awesome action pose. As her mask is only half cover, it really give lot more expression such as this like wailing. As for the unmasked head, I really love her gradient dye hair and her expression. With a handphone on her hands, she can do much selfie!! Releasing in September 2018 at listed price of 7,800 YEN. Are you planning to get this fun figure?